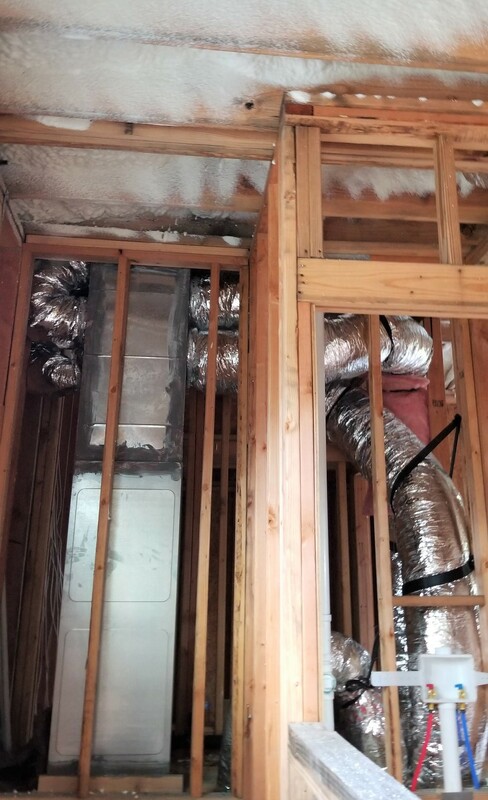 This week at the construction site for our new, energy efficient, affordable homes, installation has begun on ceiling insulation and Heating, Ventilation and Air Conditioning (HVAC) systems while the exterior siding work finishes up. According to the EIA, the average residential electricity cost for Texans is $1,800 annually and about 40 percent of that is for heating and cooling homes. It doesn't appear that Houston is going to be getting cooler any time soon, so the only way to use less energy is to get tough and sweat it out or be more energy efficient. Fortunately, enhanced energy efficiency is one of the many advantages of buying a new home like the ones at Avenue Meadows. This includes all new HVAC systems, insulation in the roof and walls, double pane Low E windows, and a programmable thermostat. Besides keeping you comfortable and being environmentally friendly, energy efficiency can easily lower your energy costs by hundreds of dollars per year compared to an older home.